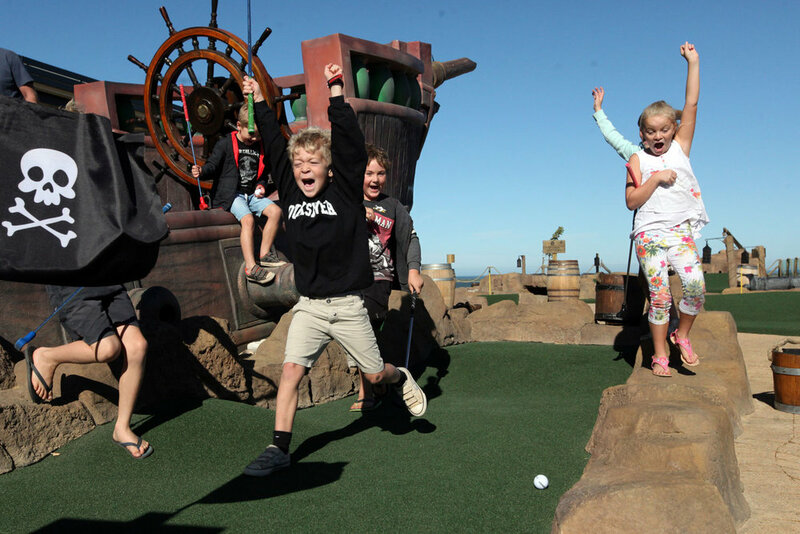 Benguela Cove Wine Estate presents Pirate Adventure Golf in Hermanus. A themed golf course that is made up of 18 holes of fun, pirate themed obstacles which guarantees exciting pirate adventures. This remarkable putt-putt golf course is competitive fun that offers plenty of thrills and laughs to just about anyone and everyone. Pirate Adventure Golf is spectacularly themed, festooned with obstacles (including a huge pirate ship, streams, rafts, pirates & a giant skull), and is swashbuckling fun! We will be open every day during school holiday periods and all public holidays.